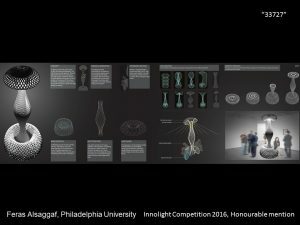 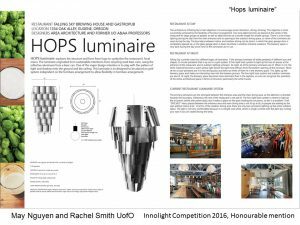 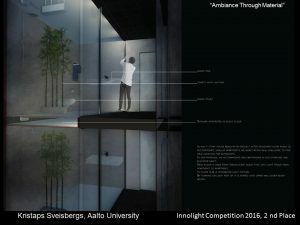 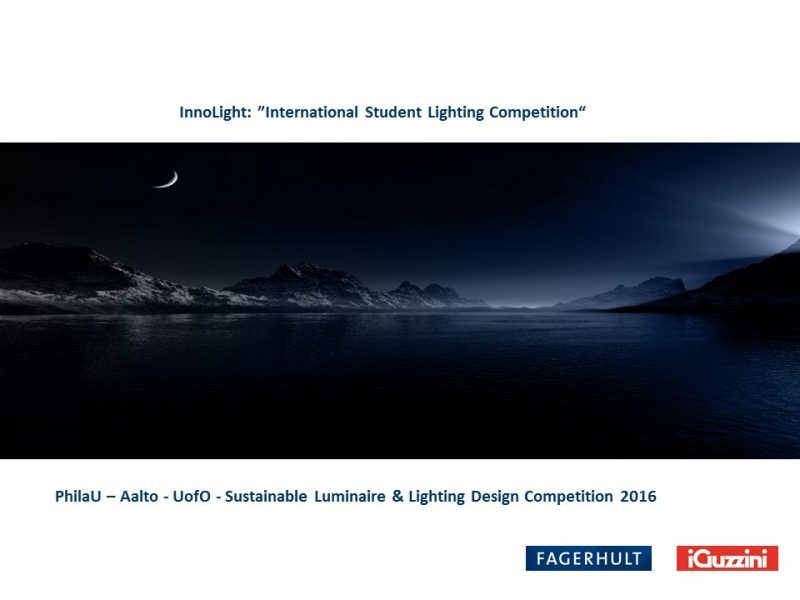 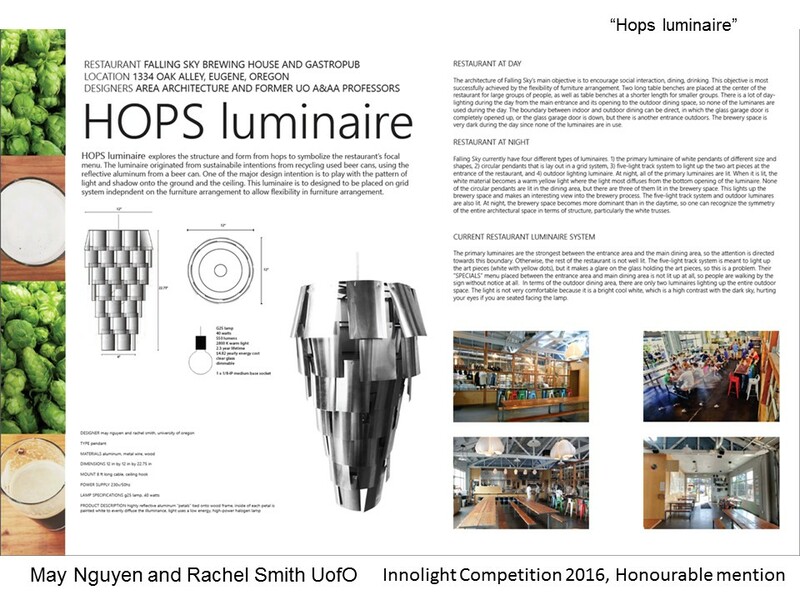 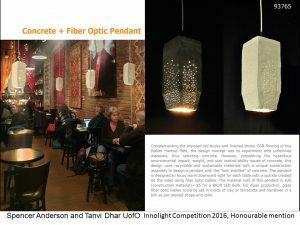 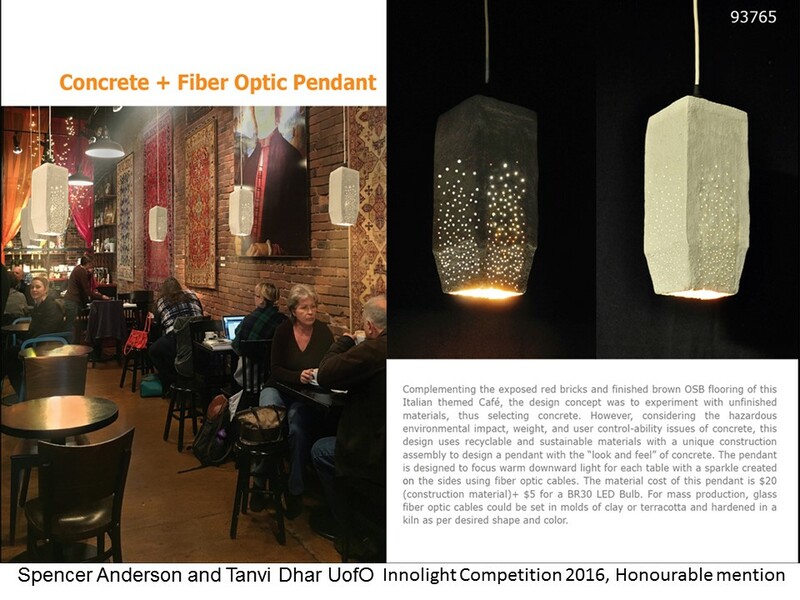 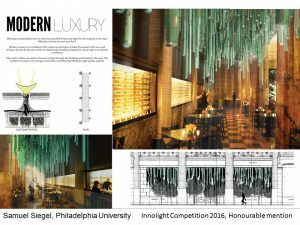 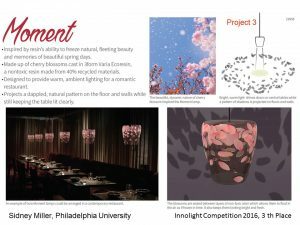 The International Lighting Competition “InnoLight” has been celebrated as a student design competition between universities in Finland and USA. Students from Aalto University, Philadelphia University and University of Oregon have taken part in the competition. The competition has been organised by the Light & Space Academy (Hannu Tikka and Julle Oksanen) in collaboration Philadelphia University and University of Oregon, with the support of the international luminaire manufacturers Fagerhult (Director Mika Laine) and iGuzzini (Director Tommi Reijola). 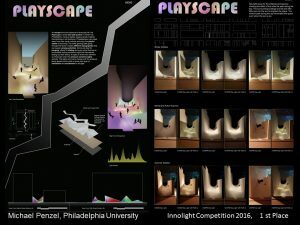 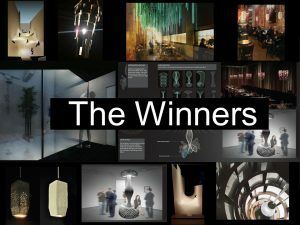 First Prize in the competition was for the student Michael Penzel from Philadelphia University, Second Prize for Kristaps Sveisbergs from Aalto University, and Third Prize for Sidney Miller from Philadelphia University. 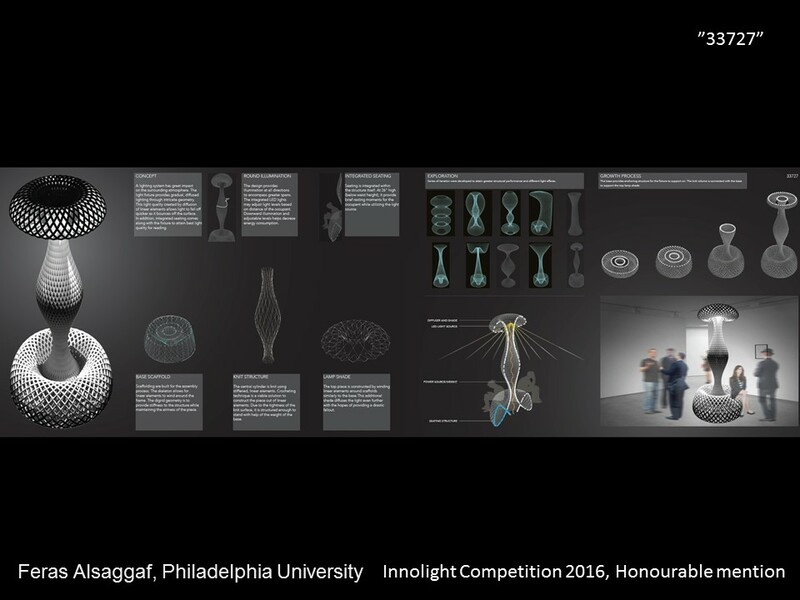 Honorable mentions were for Spencer Anderson and Tanvi Dhar (University of Oregon), Samuel Siegel (Philadelphia University), Feras Alsaggaf (Philadelphia University), and May Nguyen and Rachel Smith (University of Oregon).